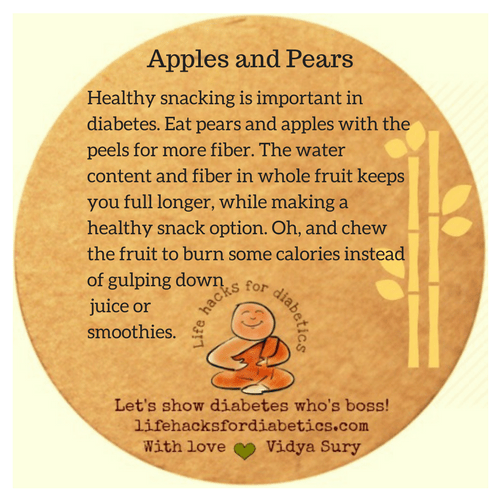 Healthy snacking is important in diabetes. Eat pears and apples with the peels for more fiber. The water content and fiber in whole fruit keeps you full longer, while making a healthy snack option. Oh, and chew the fruit to burn some calories rather than gulp down juice or smoothies.